Today’s conversation is with Dr. Jannell MacAulay. 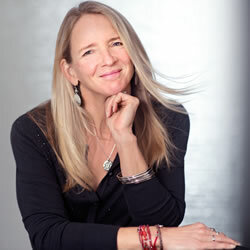 Jannell is a mindfulness advocate whose most recent position was as the Director of Human Performance and Leadership. That in itself isn’t what’s so unique about Jannell. What’s unique is that she held this position in an unlikely environment. You see, for the last 20 years she’s been in the Air Force where she recently retired from her post as a Lieutenant Colonel. In the Air Force, she created a pilot program launching a human performance effort from the ground up, this was her idea. Her goal was to create high-performing, mindful, and mission-focused warfighters and families. In her recent retirement now, she serves as a Human Performance consultant for the Air Force. So she’s still working with those folks in this capacity. She has a Masters Degree in Kinesiology (focused in exercise physiology) and she’s got a PhD with work in the field of strategic health and human performance. But that’s not all! She is a certified wellness educator, a yoga instructor, a mindfulness researcher, and she holds a certificate in plant-based nutrition. She’s also a wife, a mother of two, and a combat veteran with over 3,000 flying hours in the C-21, C-130 and a KC-10 aircraft. Jannell says it was her dad who gave her the idea that she could do or be anything when she grew up. And so from a very early age she knew she wanted to be a pilot so she chose the Air Force to get her training. I’m sure you can imagine how difficult it was for her (and really still is for women) in the military. But she says even though she came up against those who were sexist, she persevered. Rather than being bitter or angry (and those are my words), these incidences fueled her passion. She set out to prove something. She talks about how the grit and tenacity she learned in her youth helped her become successful but that was not sustainable—in other words she couldn’t get by by just pushing through all the time. It wasn’t until she hit a pain point and hit bottom before she re-built herself as a mom, a leader and a pilot. And you’ll hear how bottoming out led her to where she is now. It’s now her goal to revitalize healthcare by making changes through the military which she believes will then spill over into the general population. And now as a retired person from the military she can work directly with us mere mortals. What she wants to do is bring a healthier lifestyle to all through mindfulness, meditation, yoga and healthier food choices. With that, please enjoy this conversation with Jannell MacAulay.